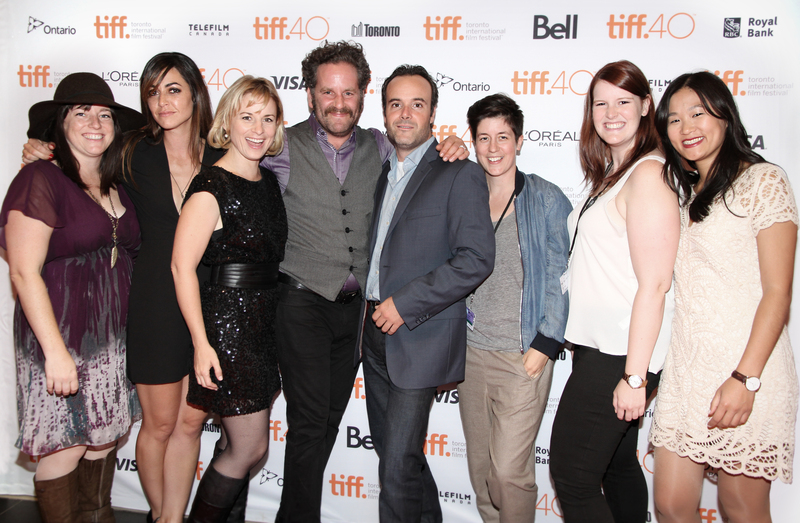 Courtenay Bainbridge, Kimberly Laferriere, Joanne Boland, Jimi Shlag, Jean-Michel Le Gal, Kathleen Hepburn, Simone Smith and Sherren Lee at the TIFF 2015 world premiere of BENJAMIN. Photo: Danilo Ursini. On Monday, September 14, 2015, BENJAMIN, produced through the CFC’s 2015 Short Dramatic Film Program, had its world premiere at the Toronto International Film Festival. The film, directed by CFC alumna Sherren Lee, screened as part of TIFF’s Short Cuts Programme 7. In addition to Lee, several CFC alumni cast and crew members from BENJAMIN (Courtenay Bainbridge, producer; Kathleen Hepburn, writer; Simone Smith, editor; and actors Kimberly Laferriere, Joanne Boland, Jean-Michel Le Gal and Jimi Shlag) were on hand at the screening to celebrate the release of their film, which had only previously screened at the CFC’s own Short Dramatic Film showcase and will host its next festival screening at the Atlantic Film Festival. You can see BENJAMIN at its final TIFF screening at 3:45 p.m. at the Scotiabank Theatre (Scotiabank 11) on Saturday, Sept. 19. Click here for tickets.